If you've been lucky enough to catch me after a work out you will know I look far from a high, dry and fly girl. More like a soaking not so fly girl panting to get my breath back. Comments such as "woah", "wtf Kim", "shieeet you are sweating!" and "is it raining outside?" are common for me after a workout or after cycling into work. 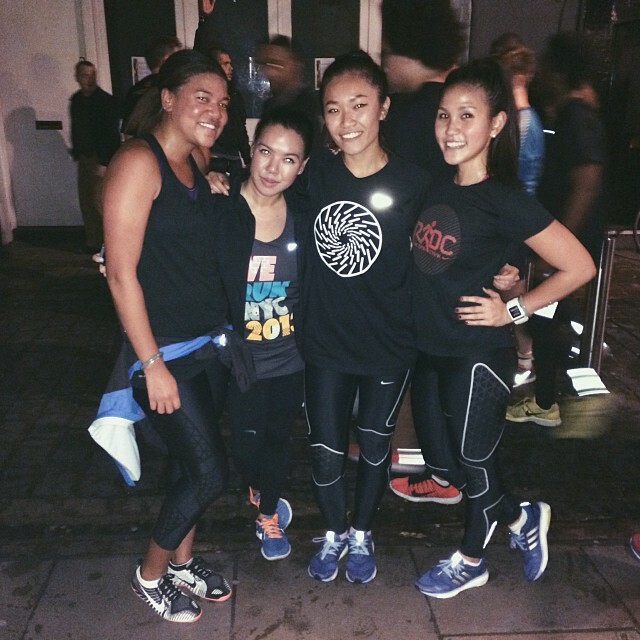 I'm on the far right... OK so I don't look that sweaty there but you have to trust me on this one! Research apparently says that the more you sweat the more your body is adapting to react to your work outs. Basically your body is working damn hard trying to cool down. Calories break down into energy, but they also break down into heat. So the more calories you burn the hotter you'll get, and the more sweat you will produce. Makes sense to me but don't quote me on it, I like it because it justifies the amount I sweat! So now that I've got over how much I sweat I have come across a different issue the summer just gone: SALTY SWEAT! Why is the sweat on my face drying up into salt crystals? Why are my friends pointing and laughing at the salt marks on my face? WHY can I not open my eyes because the sweat is stinging them so badly?! I researched it and I do indeed have a salty sweat problem. This is caused by too much sodium being released by my body through my sweat which is actually partly due to my low intake of sodium. I'm not a big fan of salty foods so it explains my lack of sodium. But on a serious note, salty sweat can actually be quite dangerous. Electrolytes are what our body needs to function. Sodium and Potassium are some of the major electrolytes our bodies need. More research is being produced to show that salty sweaters are at a greater risk of dehydrating and having muscle cramps. And, apparently us salty sweaters sweat a whole lot more than normal sweaters too! 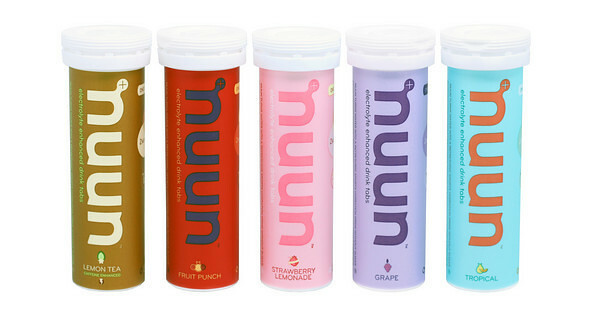 I searched for answers and a lot of people pointed me in the direction of Nuun. Nuun is a sugar and carb free tablet filled with electrolytes which you pop into your drink to keep your electrolyte levels right during and after training. Just what I need for my long training runs in the lead up to London Marathon. What I love about Nuun is that it's not filled with sugars like your traditional sports drink, leaving me to decide where I get my sugar and carb intake from, and adding more flexibility into my nutrition routine (although at the moment it is routinely chocolate). They also come in nice flavours like Strawberry Lemonade and Tri-Berry. My current fave is Strawberry Lemonade. As well as topping up on electrolytes I'm making a concious effort to eat saltier nutritious foods too. Anyone else have a salty sweat problem? What are you doing about it?